The amount of information available on Vitex or Chastetree berry (Vitex agnus castus) is so much so that many women come to us confused, concerned and/or interested in its proper use. Below are common questions we receive about the benefits Vitex offers and its proper use. A: Typically, we suggest starting to support the body naturally after stopping birth control by doing a Fertility Cleanse. Cleansing helps “clean the slate” and detoxify excess hormones and toxins in order to help the body better utilize herbs, nutritional supplements, and natural therapies. When cleansing is complete, herbs that support hormonal balance like Vitex could be started. It is easily combined with other herbs, nutritional supplements, and natural therapies as shared in our guide How to Balance Your Hormones After Birth Control. A: Vitex has a nourishing and balancing effect on the pituitary, hypothalamus and organs of the endocrine system. This, in turn, helps to balance the delicate hormonal system, which then causes FSH, LH, Progesterone, Testosterone, etc. to be secreted in proper amounts at the correct times. FSH is only partially responsible for the production of the ova (eggs). Vitex is known to encourage luteinizing hormone (LH) production while mildly inhibiting the release of follicle stimulating hormone (FSH) when needed. 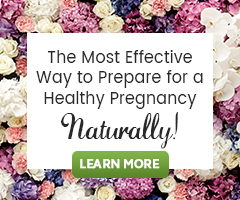 This indirectly boosts progesterone production which is necessary for a healthy endometrial lining in the luteal phase in order to achieve and maintain pregnancy. This is why it is taken before ovulation. Our site’s founder Hethir Rodriguez, through her research and use of Vitex with clients, has learned that Vitex is best taken all cycle long without taking a break. A: Vitex works to balance the hormonal feedback loop, promote ovulation and regular cycles. Vitex has a regulating effect on the pituitary gland, which supports the regular production of and distribution of hormones where the body needs it. This helps in shifting the estrogen to progesterone ratio, which many women with PCOS need. Vitex can also improve cases of androgen (male hormone) excess. The hormone shifting will happen differently for each woman and happens only if needed. We do not know Vitex to cause the body to produce less or more of a hormone that does not need to be adjusted, including luteinizing hormone (LH) and not all women with PCOS have LH excess. A: While we understand some herbs and natural therapies are not for everyone, Vitex is not contraindicated for those who have an underactive thyroid (hypothyroid). Vitex offers endocrine support via its actions on the pituitary gland. Vitex helps balance out our “happy hormone” dopamine preventing the ovulation-inhibiting hormone prolactin from being too high. When prolactin is too high the ovaries aren’t likely to properly release progesterone. Without proper progesterone levels, women often experience more PMS and lower thyroid function and many other fertility issues. So, Vitex may actually be beneficial for women with low thyroid function. Every Woman’s Guide to Hypothyroidism and Fertility is a very thorough resource if you are interested in learning more.